Cleveland, OH (November 19, 2015) – There’s a reason why Howard Hanna has more luxury home listings than other real estate companies in their markets. Fifty years of experience, staggering market share and affiliations with both Luxury Portfolio and Christie’s International Real Estate make the company the obvious choice of high-end home buyers and sellers. The Howard Hanna Homes of Distinction program was created to serve exclusively this buyer and seller demographic. Recently redesigned to provide the most appealing insight into the world of luxury real estate, the new Howard Hanna Homes of Distinction magazine debuted with the fall issue this month. It gives a complete view of the homes and their exceptional qualities in a visually stunning layout. The distinguished Homes of Distinction program provides services designed to reach affluent audiences not only in our market areas, but also worldwide. 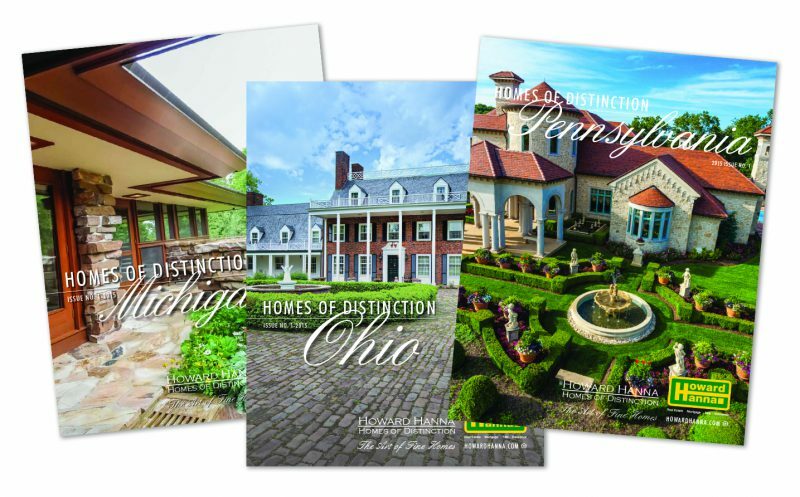 In addition to the magazine, included in the program are benefits such as the coordination of customized marketing plans, a URL tailored to the property, direct mail, email outreach and more, allowing Howard Hanna Homes of Distinction listings to reach an even wider audience.